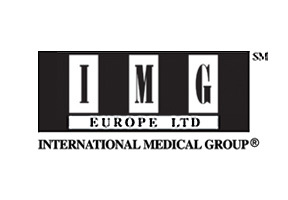 The International Medical Group or IMG has been offering expatriates and travelers specialized medical and travel insurance options from its base in the United States for over 20 years. Originally operating as a research and development unit within the Brougher Insurance Group, IMG was established in 1990 and began providing first class health insurance and support services. Today, IMG has over one million customers located in 170 countries around the world. IMG’s health insurance products are primarily designed with the global traveler or professional in mind. These products can be tailored by the individual concerned to suit their particular health care needs and IMG specializes in plans that offer comprehensive dental, travel and medical coverage. In addition to a wide variety of health insurance products and plans, IMG has created a number of innovative and forward thinking support services that through an international center provides policyholders with 24/7 medical management assistance. One important aspect of this customer service is the creation of an interactive website called MyIMG which allows subscribers access their medical details, insurance history and handle administration issues such as claims and personal information changes online. IMG is head and shoulders above any of the insurance providers I’ve worked with before. My plan is really flexible and it provides me with great coverage as I move around Thailand with work to meet potential clients. It is really easy to get in touch with the support team and I also have the added option of logging into their website to access a whole range of administration services. Sometimes it’s just too easy! I am working as an international volunteer in Thailand for the past 6 months and before leaving London, I was asked by the agency to purchase health insurance. Not sure where to look, I found Thailand health insurance online and they gave me precise and accurate data on a whole host of insurance options. IMG stood out, basically because I could tailor my plan to extend coverage to my outdoor work activities. Starting the plan has been hassle free and I can use the online site to handle my admin issues from now on, which is very convenient. Our staff would be more than happy to provide you with additional information on IMG or on general Thailand health insurance related issues. To apply please submit your details in the form section at the top of this page or follow this link to directly contact one of our support team.